I didn’t think too much about it at first because I knew this was an old news article from 2013. As far as I knew, nothing had ever transpired as a result of the research. But then, the article kept showing up again and again and again. I even had a few readers and friends email it to me, asking if it was legit. After I started seeing the plagiarized article so much, I decided to reach out to two of the actual researchers, Dr. Frank Rice and Dr. Phil Albrecht from Integrated Tissue Dynamics (INTiDYN), to see if they’d followed up on their initial study. As expected, I learned the “mystery solved” article oversimplifies and overexaggerates the researchers’ findings, but their study is still interesting and worth a second look. The truth is it’s too early to say if there’s a “direct link” between these “excess blood vessels” (which is technically inaccurate) and fibromyalgia pain. The small 2013 study involved biopsying a small section of skin from the hands of 24 female fibromyalgia patients and nine healthy controls. Unfortunately, research on the potential AVS/fibromyalgia connection has stalled due to lack of funding. Rice believes funding has been stonewalled because of previous research linking fibromyalgia to a malfunctioning central nervous system. 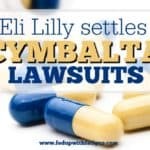 The three drugs approved by the U.S. Food and Drug Administration – Lyrica, Cymbalta and Savella – all affect the CNS in some way. If it was found that fibromyalgia is not a CNS disorder, then that would eliminate physicians’ reasoning for prescribing these drugs. It would also help to explain why they help only about one-third of fibro patients. INTiDYN specializes in skin, nerve and pain research. The company just recently completed a major study on diabetic neuropathy and will release findings from a study on postherpetic neuralgia later this year. The company is also partnering with the University of Indiana to study how marijuana can ease pain. I have suffered from Fibromyalgia for thirty-three years. When I have a “flare” the muscles involved visibly swell up – especially on my shoulders. During my research over this time the most sensible explanations that I have found for MY Fibromyalgia is that the blood vessels become “sticky” and get trapped in the capillaries – causing pain – and swelling. 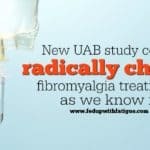 This may not be the cause in all Fibromyalgia cases – as I believe that there are probably multiple causes of this “Syndrome” – but it is one area of research that should be pursued. I also suffer from Spondylitis and severe Sleep Apnea which could also add to the problem. I have often wondered if Kidney Dialysis would help Fibromyalgia sufferers. Do some people requiring Kidney Dialysis also suffer from Fibromyalgia? Does Kidney Dialysis help their Fibromyalgia symptoms? As the only effective treatment for me (that actually works!) comes from a combination of Bowen Therapy and Detoxing with an Ionic Foot De-tox machine, I believe that MY FIBROMYALGIA is partly caused by environmental toxins – together with a genetic propensity for not being able to thoroughly eliminate toxins from my system naturally – that somehow causes my blood to become “sticky”. As to WHY Fibromyalgia symptoms usually strike at “older” folk (though you can get Fibromyalgia at any age!) —- as we age, our bodies become less efficient at coping with stresses that attack it. I have also suffered from debilitating Migraines all my life as well – and as this is also a vascular disease – could also be another symptom of “sticky” blood. As I have found that not many older doctors have even HEARD of Fibromyalgia (though it is now taught in Medical School!!) – let alone believe in it’s existence – many Fibromyalgia sufferers don’t get the diagnosis that is required to even start searching for a treatment. I suffered debilitating, excruciating pain for fifteen years before I was finally diagnosed with Fibromyalgia (going from doctor to doctor seeking a reason for my suffering) – and another ten years before I finally found a treatment that worked. I doubt that there will ever be a “CURE” for Fibromyalgia – but more research is needed to both try and prevent – as well as alleviate – the debilitating suffering of Fibromyalgia patients. Valuable update on Rice and Albrecht. I have had chronic fatigue, whatever that is, from before it existed and I have had fibromyalgia, whatever that is, from before males were allowed to have it. I have always thought the statistical pattern of more men getting chronic fatigue and more women getting fibromyalgia because women may tend to keep going with the daily physical work before they crash. There is an overlap, competitive label pride does not help. The desire for a label arises both from demands of workplaces etc for labels and back in the beginning of the book of Genesis where god directs not to use his name but to name everything else and have power over it. A key to Eurosemitic obessions various. Central to everything (there’s a nice phrase!) is that in normal modern life, we live with a crisis of catabolism. Every day we should have a cycle of catabolism (ripping mineral resources out of muscle and bone) to do work of whatever kind, then an anabolic cycle of putting it all back as we rest and sleep. Failure to put it back causes problems. Calcium dust storms in cells interfere with normal mitochondrial processes [a] of energy production [b] of steroidal hormone production and [c] the business of apoptosis, the defence against cancer etc, the vigilant mitochondria killing deviant cells, or distracted mitochondria failing to do that. The arguments in the previous para are basic science, not needing funding, but not understood by most doctors, an unnecessary and disappointing struggle for support as bits fall off with ageing. Some insights in those old papers of mine. For now I think this is enough, I will read your other writing and have subscribed to your emails. Thanks again for such an intelligent and valuable piece. How about Dr. Rice and Dr. Albrecht at Integrated Tissue Dynamics doing some kind of “crowd funding” ? I know so many people who would be more than happy to donate to this worthy cause. Ashley that is a good idea. I wonder if Dr Rice and Albrecht lacked more than funding. Maybe they experienced what we experience-a lack of support or interest in this illness in general. If this was AIDS or Cancer it seems like there would be excitement and funding. I’ve been suffering with joint pains and osteochrondritis in the knees from a child but got diagnosed with fibromyalgia and snapping scapula syndrome in the last three years (although every joint snaps and grinds when i move) I’ve also been suffering major depression from a young age. I’ve worked the last 20 years in manual labor with the pain and depression and just put on a smile. But collapsing at work 3 years ago and not not being able to move much since and needing help with everything and no one understanding has got me not wanting to live anymore, i just want someone to understand. I live in Australia and the medical system here is broken and lacking in true tests and knowledge about fibro and snapping joints, the government also makes it very hard to live when they don’t recognize a medical problem that’s truly impacting millions and killing people, and it’s always about money for them. so sad. Internet hugs to you from a distance. Sadly it’s not much better in europe. 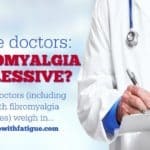 Hard to find a doctor who takes fibro seriously. The default treatment here is antidepressants and acupuncture. The latter does nothing for me, the first I refuse to take because I insist on finding the root cause instead of putting drugs into my system. Friends and family dont care to understand the problem and keep telling to “just change my attitude”. Needless to say, I am not wanting to live anymore either. I think I will start playing the lottery and if I ever win I will dedicate all the money to research. Or we come up with a plan to motivate some really rich people to fund this. I cannot believe that this disease is incurable. There is a biological reason for all of this and all it takes is money, time and qualified scientists to uncover it. Maybe we should do something like the icebucket thing. I agree. Billions are spent on cancer research, which I know is a worthy cause, but how about some being raised for Fibro? The existence of cancer is easy to demonstrate, the persistence of chronic pain is not, hence the funding differences. Pain is a major issue that is willfully ignored by nearly anyone not afflicted with it. C’este la vie, and don’t bogart that medication! 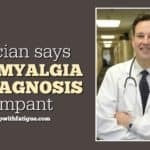 It is connected in the sense that there’s overlap in symptoms, and some people w/ MS are also diagnosed w/ fibromyalgia. MS is one of the conditions that doctors are supposed to rule out before they diagnose fibromyalgia. 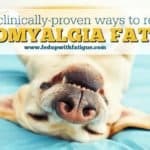 I was diagnosed with fibromyalgia 4 years ago. My mom, my aunt (her sister), ad one of my cousins on that side of the family all have MS. I am being checked for MS lesions every two years because my mom’s MS looked a lot like my fibromyalgia for 12 years before her lesions became visible. I believe there must be at least an auto-immune link. I have 5 specialist who all agreed I have fibromyalgia, yet none of them agree on what fibromyalgia is or how to treat it. This is quite insane. Most days I manage the pain with clean eating, prayer, physical activity, meditation, supplements and therapy… but days like today I wish I could die. They need to find some answers. Thank you so much for contacting the researchers of the original study (Drs. Rice & Albrecht of INTiDYN) and sharing the accurate details of their work. I’m incredibly intrigued by their preliminary findings and hope they’re eventually able to secure funding to continue this line of investigation. I’m definitely among the cohort of fibromyalgia patients that developed vascular changes with the onset of the syndrome, and I also suffer from pain in my hands and feet. Lupus was ruled out since I never developed any of the clinical markers. I’m 16 years post fibro onset. I also have an anxiety disorder with concomitant depression which pre-dates my FMS by over a decade but no history of sexual, physical or emotional abuse. Constitutional sensitivity and anxiety disorders run in my family, fibro does not. What I found particularly interesting was the limited follow-up work Albrecht mentioned regarding the estrogen receptor system that’s known to impact the abnormal sensory innervation (AVS) they found in their fibro cohort. My FMS began during perimenopause and worsened after menopause. I’ve always recognized my waxing and waning symptoms correlate with my hormonal cycles, even post menopause. I also developed enlarged capillaries on the palm side of my fingers and hands with the onset of my fibro. They’re prone to breaks similar to those people on blood thinners experience, and mine predictable occur when estrogen levels are lowest or more rarely when my anxiety levels have been very high for an extended time. Stress/anxiety can also cause my hands to redden and slightly swell which may be accompanied by increased pain. My arms and lower legs can take on a mottled appearance (livedo reticularis) with anxiety too. Overall, the type of pain I have is a real mixed bag, but my hands and feet tend to get burning or tingling sensations. I’ll definitely be spending time combing your blog for more info now. Thanks again. I’m not saying that I agree with this article that’s been floating around the internet. I am however saying that I have fibromyalgia. I also have problems with various veins in my body. It’s visibly obvious in my hands, legs, and feet. If I have these visible problems then it stands to reason that there are problems elsewhere with my veins in place that are not so easily visible. I believe that veins very well could in part be the pain problem that we face with having Fibromyalgia. I think that it definitely commands more study and investigation into this potential culprit. Hi Donna, I’m rather new to your wonderful web site but not knew to fibro. I wanted to ask you if you ever tried any of the green juice that is supposed to be the answer? I don’t want to go out and buy a juicer just to find another failure. I feel fortunate that although I have all the pressure points but the worst pain is in my hips. So severe that it makes me sick to my stomach when I keep pushing myself to finish a project. I can last maybe twenty minutes before I have to sit down so the pain will go away. The neuropathy in my feet continues to worsen but I can handle that much better than the pain in my hips. Thank you for all the work you do and share with the world. Oh boy, Judy, I know some people aren’t going to like what I’m about to say, but this is my honest opinion: I don’t think juicing is that good of an option for fibro, and here’s why…Juice is loaded w/ sugar, and sugar is inflammatory. My preference is to just eat whole, fresh fruit. That way, I’m getting the vitamin benefits but still getting the fiber, which is stripped out via juicing. That’s just my own opinion. I know others will disagree, and that’s ok. As you know, this fibro thing is very unpredictable. What works for one of us won’t work for all of us, so we all have to experiment and figure out what helps us individually. I know they sell a lot of really nice juice products now in the produce section, and that may be a way to test it out for a few weeks before investing in a juicer. Regardless of whether you go the juicing route or smoothies or whole fruit, I always try to buy organic when I can afford it b/c they are treating our produce w/ so many nasty chemicals now. I really thought there might be some connection. I had a severe hand laceration injury and corrective surgery in 2011 and it seemed my fibro symptoms ramped up exponentially immediately afterward. There could be. They need some funding to be able to continue their research to figure it out. I’ve actually heard of a lot of people who say the symptoms flared up after surgery…Maybe another avenue of investigation! I had the same thoughts. I’m speculating that maybe if we have these extra nerve fibers in our hands, then we might also have them throughout the body. I guess that could be a factor in fibro, maybe. It would be nice if they could get the funding to continue their research and find the answers. We are definitely different in numerous areas and it’s not even that there are no medical science studies out there indicating such, there are, even in this early stage of discovery. It won’t just be nerve fibres. Our medical system has become almost completely removed from the realisation this organism and all it’s systems are interactive and complex almost beyond imagination. Attempts to continually segregate and hence be able to develop one single drug able to address one single area for economic gain has in many ways inhibited the real ability to conceptualise and theorise regarding the entire complex organism. We feel more because we are designed so. Eventually science will discover we have small brain variation in numerous areas. Our sympathetic, parasympathetic, neural and all other systems will be found to have variances from the “normal” or “mean” population group. I am an extreme example. Some doctors over here in Australia call me “HORSE” not for any “fanciful” reasons but because in their own wordsI “produce so much adrenaline during operations we have to give you veterinary doses to keep you under.” I’ve woken up during so many operations I used to think everyone must. We all over adrenalize in response to placing the organism under stress, maybe not all to my extant but all Fibro sufferers over adrenalize. That requires first a heightened physical ability to detect threats and then a heightened physical ability to produce the extra chemicals, placing extra strain on all the systems involved in that production. If such a system is at the heightened level enough eventually the organs (not only adrenals and thyroid but all organs) all of which have a limited campaign life (else we’d never die or age) suffer early production level degradation. It is happening at levels still barely detectable by medical science but happening across the entire spectrum of systems creating the compounded effects that cause Fibromyalgia. Imagine an organism genetically built to be highly sensitive and react. Nerve fibres are just the beginning. We feel more, cry more, hurt more because we are genetically formed to do so. Living in todays society with such genetics then places constant strain on the organism operating at these heightened level. Eventually it breaks down. Mark my words, in centuries to come science will start detecting these genetic variances at or before birth. What society decides to do with that information will go through various stages of development itself. There will be attempts to genetically engineer the “problematic” variances out as they inhibit working productivity. Others will argue such individuals could be directed down different paths ensuring much less stress exposure (physical and mental) whilst still being productive. Our heightened abilities to sense and react could even be capitalised on in certain circumstances in the future I expect. This may all seem far reaching and futuristic but no medical scientist I have spoken with doubts we are all genetically different, even within the “norm”. It is not such a great leap to realise there will of course then be others who are further genetically different then most. That is us, we are different. Recognising it as early as possible and living life accordingly is the absolute key to stopping the “drain” having roughly 5% of the world in constant chronic pain places on society. It is a massive economic cost only now leaders within the scientific and political spectrum are starting to comprehend. I’m guessing you have heard the expression of “canary in a coalmine”? That is us! I agree that for some reason our bodies are overly sensitive. I know I always feel amped up and stressed out even though I have no obvious stressors in my life. The question is WHY is that happening. What’s the underlying cause? Like you said, I’m sure genetics has a role in it, but I suspect we’re being triggered by environmental factors, too – the pesticides they put on our food, air pollution, water pollution, chemicals in our household products, chemtrails (yes, I believe in them b/c they spray over my house every week), radiation (Fukishma, which NO ONE is talking about), EMF, etc. Plus, the common stressors, like work, relationships, etc. I think it’s just too much for our bodies, so we become the canary in the coalmine. Being genetically/physically built to be more sensitive than the average population does indeed mean we are more sensitive to everything on your list, in fact to everything period. Therefore the condition itself is brought on by the combination of genetic and external factors. It is why the criticality of early detection cannot be over stated. We are centuries away (if ever) from being able to engineer and correct the genetic variances, let alone overcoming the moral implications of such. Therefore the management or elimination of the external triggers is absolutely vital. Diagnosing the genetic predisposition early and managing or eliminating the organisms exposure to the external triggers will be the key to preventing Fibromyalgia development in future organisms (our children). Unfortunately the treatment options for those already suffering will remain very limited. The damage is done, the organs and nerves have effectively used a “lifetime” worth of production early and are now compromised. We still have no ability to reverse premature aging. We can supplement, assist, reduce exposure, etc but we cannot reverse the premature reduction in functionality. The stem cell possibilities are there perhaps in the distant future, but I suspect as this is a genetic/physical characteristic affecting every organ, nerve, cell in the organism it will possibly create more issues via attempting to regenerate one area and consequently throwing the rest further out of balance (I admit it could also provide incremental improvement initially, I am unsure in this area). Suffice to say these developments will be long after you and I have departed this realm. All this means the treatment for current sufferers must be , as we already know, holistic, covering everything because basically, everything is affected. This is known to science now. The multi faceted nature affecting multiple systems is acknowledged in innumerable studies already and also acknowledged as making treatment extraordinarily difficult. This cannot and will not change, it is physically impossible as every cell is affected not just by external factors, but by design. Have you ever checked out CPTTS? For instance in YouTube film by Richard Grannon?. I think stress from childhood combined with (physical) stress later in life could have a major effect. Not sure if this is design – nature or nurture- since stress responses or problems can run in families for decades. I have a facebook page called Fibro Science where I “store” all scientific articles on fibro I can find. If you would like to contribute, great! But this is a great page as well! Hi Wendy, I “liked” your page on Facebook. Looking forward to seeing your links! I read with interest your comments about adrenaline. I also woke up during surgery (spinal disc removal), and I have 2 main COMT++ polymorphisms, combined with MAO-A++, which I personally believe predisposed me to fibromyalgia. (The stressor of back surgery and 3 epidural blocks in 3 weeks set it off.) There’s evidence COMT++ causes people to be overly sensitive to pain. (It also makes us disciplined; we make good grades but do poorly on tests; have the worst success being hypnotized; we don’t respond as readily to the placebo effect; we suffer from insomnia and anxiety at high rates, and anorexia, but not addiction. I have experienced these traits first-hand.) My mother and grandfather also have/had chronic pain. I agree one day there will be more treatments, but like you, fear that day is a long way off. My pain has gotten worse with time, especially in the last couple of years as I approach menopause, and like others on this thread, I struggle with the will to live as my ability to function gets more severely limited. It’s been 27 years since I was diagnosed. It’s a tough road, but it has taught me so much, and I try to focus on all that I do have, which is mainly the people I love. Thanks Donna for the contribution you make to our community; you make a real difference. I have a LOT of hand and wrist pain. Along with pain in many other areas. I’m having issues with my veins in various areas of my body. It seems to me that there very well could in fact be a link between it and fibromyalgia. Not to say that I am believing this article that’s floating around the internet. But to say that it definitely seems that it could in part be the fibromyalgia culprit. The reality is science has barely touched the tip of the iceberg regarding this condition. The excess nerve fibres in hands are discovery should be seen for what it is. Just the start of the realisation that the entire organism (fibromyalgia sufferers) is physically formed to be what medical science refers to as “hypersensitive”. Rather then wasting millions of dollars trying to pin the condition precisely to these excess fibres science should be asking itself this question. If this group of over sensitive organisms has excess fibres here, where else might an organism physically different to the “norm” vary in physical/ chemical formation. In time it will be discovered our entire interlinked systems are physically formed to be ready for flight/fight and more responsive to potential threats to the organism. That requires the organism to be genetically superior (or inferior or different depending on your interpretation) then the “normal” organisms that are not so genetically developed. You know why we keep seeing in so many studies, the HPA access is affected, the neural system is affected, the sympathetic system is affected, the parasympathetic system is affected? Simply because the all are. They are all correct. It will eventually be discovered we have excess nerve fibres in other areas, we produce more adrenaline then the norm, we drain the cycle life of organs earlier trying to keep up with higher production levels of a myriad chemical reactions because we are genetically designed so. Medical science is still not capable of measuring the small variations that exist across every interlinked system which combined and compounded together lead to the early degeneration of organ production capabilities and nerves etc. Not only are our systems designed to be over sensitive, if such an organism has been exposed to high levels of stress (physical or mental or both) for an extensive period, the extra drain on the organs inhibits the organisms ability eventually to keep producing at the levels required to function. The organism now enters a state of negative feedback to prevent further depletion and damage including inhibitory pain signalling. There will be no cure for Fibromyalgia until Epigenetics develops to such a level the genetic characteristics can be “engineered away”. That is centuries away and the world is yet to even have the moral debates around such. Management is the only option. Catching it early (ie early diagnosis) and early intervention is an absolute imperative to slow the degradation. We must find a way to cease the damaging process of multiple years required for current diagnosis. By then the damage is often too great to address the condition with any meaningful management options. The absolute next key development is a recognised, relabel early diagnostic tool. Wow. Finally someone says what I,ve been thinking about this condition for ages! The truth is that fibromyalgia is a disease as a consequence of EBV…I’ve been in pain immediately after mononucleosis and since then I’m like this..my mother had EBV too and now has fibromyalgia. The truth is linked to the fact that is hard to find out you have infectious mononucleosis as an adult and you did not search for it..then it goes dormant and you never find out that it was responsible for your chronic illness..in my case I figured out because I’ve done all my blood tests and I thought also about EBV as I am a medical student. I’d like you to spread this theory that this virus can be responsible for this horrible condition. And you can do your blood test too and see if you have high titers of IgG VCA. I hope you have sufficient relations with doctors from America…as I am from Europe,here it isn’t done any research regarding this condition. I hope one day we’ll have the cure and that day won’t be after we’ll be all dead. All the best! Catalina. I’ve heard the theory that fibro is caused by EBV. I guess it could be, but I’m not convinced. Almost everyone on the planet is exposed to the EBV virus, so why isn’t everyone sick with fibro? I think viruses/bacteria probably play a role in fibromyalgia, but I suspect when they finally figure it out, it’s going to be more complicated than just a single virus. I’m 34, and can trace symptoms back to when I was about 10. Never had mono, hadn’t been in any kind of car wreck, never broke a bone, never suffered trauma of any kind other than the usual childhood bike wrecks. The only car wreck I’ve ever been in was last year, and there was no worsening of symptoms after the bruising healed. While mono may trigger it in some people, it’s not the blanket cause of it. My mom’s side of the family lends a lot of credibility to it having a genetic component. Her family is large, and she has multiple first cousins with fibro, as well as both her siblings. And she has it too. I’m the only child of hers with it. Fibro is a complex beast. I’m one of the lucky ones helped by SSRI anti-depressants. It doesn’t get rid of it completely, but I’m functional and not on opioids for pain management. It wouldn’t surprise me if one day it’s discovered all the theories work together to cause it. Hi, Donna. I’m a fibro sufferer for 22 years. At least that’s when I was diagnosed. Anyway, nowhere in your article, or the other articles I’ve read on the clickbait sites, does it mention that the condition referred to here, with the “excess blood vessels”, is called small fiber neuropathy. Isn’t that correct? No, this theory isn’t related to small fiber neuropathy. SFN is when the nerves, usually in the feet and hands, are dying – it causes numbness, burning and tingling in the extremities. This theory is different … they essentially found excess nerve fibers in the hands and think that might be linked to fibro somehow. Kudos on the accolades! Ignore the haters! I loved the name of your blog. I totally agree with you. I’m 11 years fed up, but I’m not giving up either. Stay the course! I’m not sure if I agree about the hands and feet study. My hands are arthritic, but not due to fibro. My hands got bad due to age, genetics, but, they didn’t hurt when I contracted my pain. The pain also goes away about 20 minutes later, when I get moving. My body pain has been worse, as of late, due to the wet weather conditions. Strong variations in any weather condition, hurts. I’m working and reading on what I can do, food wise, that effect inflammation in the body. My adrenals, my thyroid. I have to rebuild/reboot myself. It’s not easy. It’s a process. Giving up gluten. Carbs are not our friend. But, I’m having a hard time giving up dairy. I’m trying to go Paleo. From what I read. 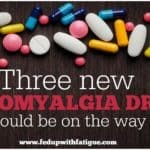 It’s the best plan for Fibro/thyroid patients. Also, looking into, The Fast Metabolism Diet. I have so much research on Fibro. It constantly changes. But, I thought I’d contact you rather than starting my own blog. Why reinvent the wheel. You seem to be committed to it, like me. Always searching. I don’t put too much faith in the medical community. I dumped so much money into getting better, but I ended up getting worse. Anyway, hope we can connect soon. Hi Diana, you’re welcome to email me anytime. My email address is donna [at] fedupwithfatigue.com or just reply back to any of my emails. Looking forward to hearing from you. Makes no sense. I’ve had these hands, feet and legs my whole life, but have only had fibromyalgia for the last five out of 56 years.